Industry veteran aims to tackle industry change in new NEXTGEN role. 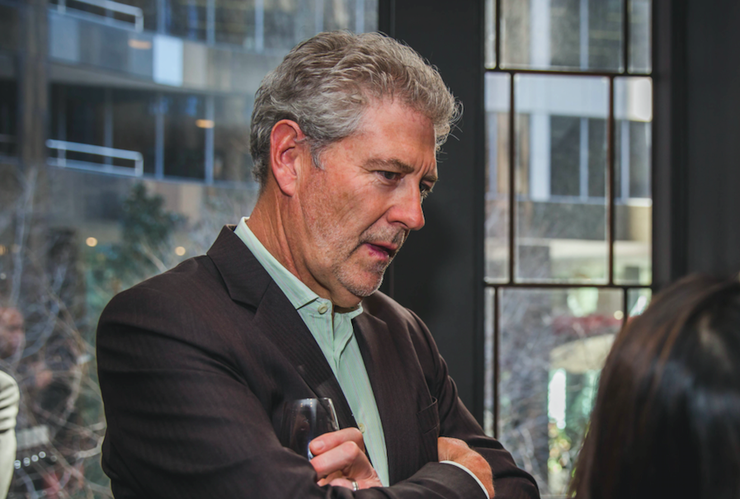 Frontline Systems Australia founder, Steve Murphy, has taken a seat on the board of NEXTGEN Distribution, aiming to drive vendor relationships and mentor emerging resellers as he helps to steer the company through mounting industry change. Murphy, a 2013 ARN Hall of Fame inductee, joined the ranks of NEXTGEN’s boardroom after being an early investor in the company, after easing back on his duties with Frontline Systems Australia, which merged with Japanese stakeholder, NTT Communications Corp, in 2013. For Murphy, the decision to sit on the NEXTGEN board full-time has provided him with the opportunity to help guide the distribution company through the increasingly changeable IT industry landscape, while also building relationships with new and existing vendors. “Where I hope to help is in continuing relationship with the current vendors, but also to help in bringing on new and exciting vendor partners and relationships,” Murphy told ARN. “I hope to do that through a mix of keeping a close eye on the international market, and continuing to attract partners to us. “We’re in such an early maturing world in all things as a service that I think we’re going to see that maturing over the next few years. "You can let change smack you in the face, or you can try and keep an eye on things and steer towards change." Murphy believes that the leadership team at NEXTGEN, headed up by CEO, John Walters – a long-time acquaintance – is suitably skilled and well-positioned to weather the changes ahead. “We have the ability to convert ourselves from what is essentially a hardware-based opportunity up front, to a more rounded, next-generation distribution company,” he added. Already, the business has changed a great deal since its inception and founding, according to Murphy, who suggests that it is a very different organisation today than it was in the beginning. “The business today is very different to the one we initially envisaged, in that the very first major opportunity that presented itself was the relationship with Oracle [after its acquisition of Sun Microsystems],” he added. “Over the years, however, that has morphed into a far deeper and very different relationship all around. “Now, it’s about cloud products and software and adding value around all of that. So it’s become a very different business in just a few short years." Murphy, who was named as the first president of HP’s Enterprise Partner Advisory Council across the partner community in 2010, also hopes that his new place on the NEXTGEN board will give him the chance to help new and recent entrants to the reseller market flourish. “I’d like to get involved in younger startups, some of the resellers that might need a bit of help and wisdom in terms of positioning their companies for future growth and possible exits,” he added.